For hassle free trips to school choose from our collection of scooters for teens. Plum® has scooters to please any teenager’s style! The ergonomic designs allow them to stay confident and in control, while keeping them stable and safe. 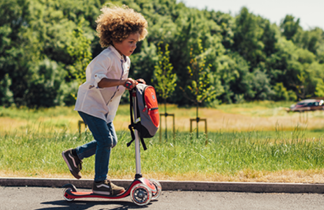 Models benefit from adjustable T-bars and wide foot decks, meaning the scooters can carry your teens through to their adolescence.